Blurb: “I’ve accepted being a monster. 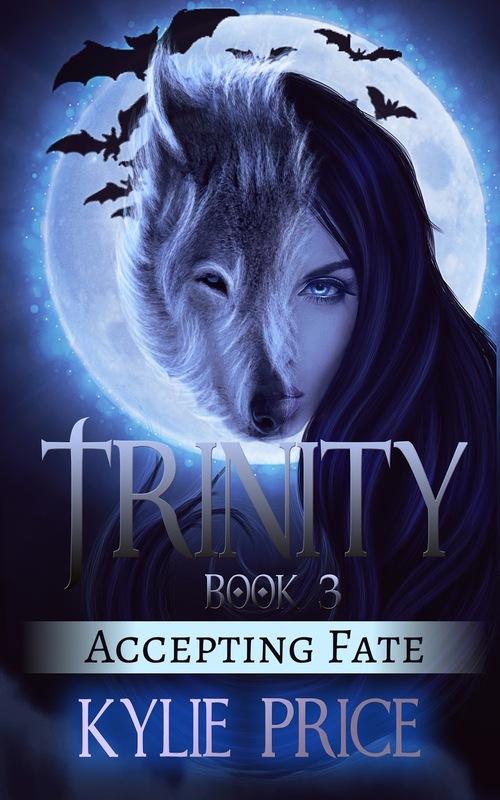 Now I need to decide if I will follow fate or kick its arse.”Trinity meets the underbelly of the supernatural world so she and her friends can learn to better protect themselves. As she explores her abilities further she discovers someone lurking in her mind, making her crave what they want— blood. It seems that an enemy survived and her head fills with his plight to not only feed on every living human, but to take her and all those she cares about, out of the picture. Hunger grips her soul as she fights to avoid being seduced by his cravings, while her dark side pleads to be let out. Trying to tame her beast, she pushes herself to exhaustion while training. It’s all she can do as she waits for the pending battle that is already in motion. Her friend Carra is no help, so she looks for guidance in Carra’s journal, only to discover that something big is coming. Something that will forever change her life. A sacrifice that will grip her to the core and cause her to question her entire existence. Will she become strong enough to save herself, all the Monsters and Humanity. Kylie Price is a shy and reserved person when around people she doesn't know. But, when she does know you, she is a bag of laughs sarcasm, fun and very witty. She has a natural ability to be cheeky in less than a breath. Those friends and family close to her enjoy the sudden burst of energy and laughter that she brings out in others. This is carried over into her novels. From a broken home, growing up was hard and often she felt alone and isolated. She used her imagination to push past that feeling and started creating new worlds from the age of ten. She is dyslexic, but don't let that put you off her books. She has formed a strong team and friendship with her writing and her followers help her to no end. She has pushed past her fears, anxiety and feeling of abandonment to bring herself to full light and follow her dreams of being a writer, no matter how imperfect her spelling is. One of her favourite quotes, "Most days I get a text message from Auto Correct saying, 'What the hell is wrong with you woman. I have no idea what you're on about. Stop that.' lol." This is truly her. She admits to many faults and flaws, but she moves forward them all and takes it on the chin. She strives every day to improve as a writer, friend, mother, etc. Though I think she is fabulous how she is, she reassures me, "There is always room for improvement no matter how great a person thinks they are." 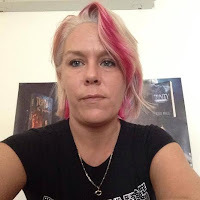 So, from me, I say take the chance on this amazing writer's books and follow her, friend her and enjoy the ride with us all. You won't be disappointed. Compiled Author Bio from close friends and fans. Sounds intriguing. Is this a new series?